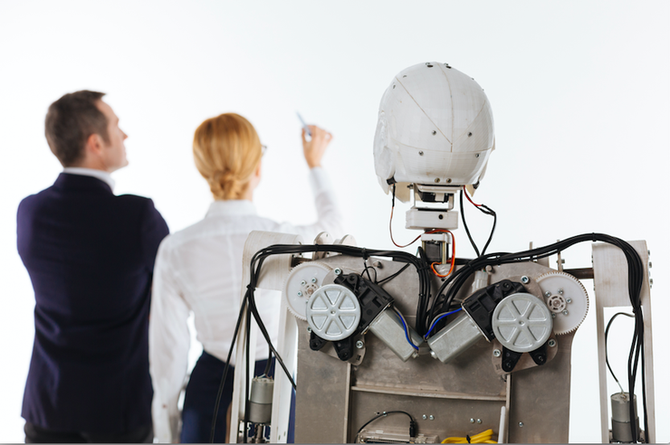 Organisations looking to tap artificial intelligence (AI) to improve customer outcomes and their commercial edge need a relentless focus on test-and-learn, data quality and employee empowerment. That’s the view of US Bank chief analytics officer and head of CRM, Bill Hoffman, who took to the stage at this year’s Dreamforce to discuss how America’s fifth largest bank is tapping Salesforce’s Einstein AI platform to improve sales engagement processes and through that, customer engagement. US Bank’s vision is to be customer-led by creating one view of the bank, regardless of which product, channel or employee a customer engages with. Proactive, intelligence utilisation of customer insights is a cornerstone of achieving this aim. For Hoffman, it’s vital the bank gives every employee, not just its executives, democratic access to insights about customers. US Bank has rolled out Salesforce Sales Cloud and is tapping several of the vendor’s Einstein AI capabilities to improve its wealth management as well as commercial team engagement with customers. It also runs the vendor’s Marketing and Service Clouds. “The complexity of managing data has gone up tremendously,” Hoffman told attendees. “If we can leverage better insight from Einstein, we can help that customer decide whether to staff small business or get kids into college. Taking insights from data already accessible through its CRM platform, US Bank has used Einstein to unearth additional relationships between data sets, starting with lead scoring across 4.5 million leads. Each is given a numeric lead and propensity to convert to an opportunity by looking at various data sets. Einstein also suggests why a score has been given using predictive factors, such as which brand the lead came from, if that person has a mortgage, and if they meet certain minimum levels of asset management. A dashboard then shows US Bank’s front-line employees what features or topics of conversation will move the needle for them. From a conversion rate of 4.9 per cent, US Bank’s conversion rate has risen up to 15.2 per cent. Using Einstein, US Bank also discovered customers between 35 and 44 years of age with a mortgage were more likely to increase assets under management if they opened a credit card with the bank. Those insights can then be embedded back into Salesforce, giving advisors suggestion on how to improve relationships. The dashboard has also been made available via mobile devices. For example, being able to see across its 26.9m retail customers those who will best resonate with the bank’s wealth management proposition saw a 2.34X conversion lift off previous approach based on modelling, Hoffman said. Being able to identify existing wealth management customers and help financial advisers know what to talk to them about reduces the likelihood of attrition and is is another way Einstein is being leveraged by frontline employees at US Bank. For those organisations starting out on the AI journey, Hoffman offered a few pieces of advice. The first is to make sure you have the right question. Organisations tapping AI must embrace an agile approach. “Don’t be afraid to fail; test and learn and scale from there,” Hoffman advised. Equally, it’s vital to bring in all stakeholders in early. Financial services, for example, is a highly regulated industry, so making sure risk management, client management partners and compliance were in the mix early was critical, Hoffman said. As a final piece of advice, Hoffman advocated celebrating success, “whatever those are and whatever form they take in your company”. “Market the heck out of your learnings, successes and your company will continue to give you the resources to excel,” he added.